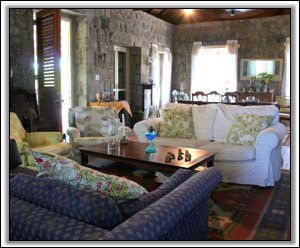 Nevis Rental Houses - Butler's House - 1, 2, and 3 bedroom house Overlooking the sea. 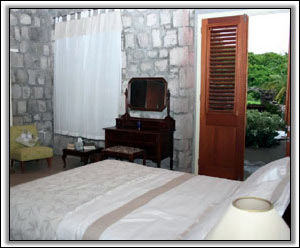 A departure from the usual villa rental holidays, the romantic and equally family-oriented Butler’s House is an historic retreat on 6 acres of a former plantation situated atop the village which shares its name. Nestled in the foothills of Butlers Mountain, the house commands sweeping sea views with an intoxicating landscape of colour and fragrance. 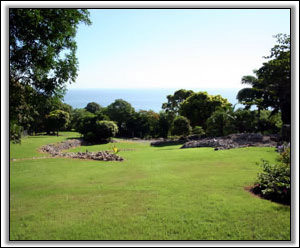 Spend your days lounging by the 35 foot pool while gazing out to the sea or take a stroll through the ruins and extensive gardens. 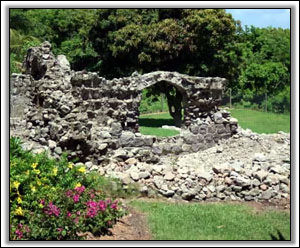 You may discover an artifact and even run into a family of vervet monkeys. Butler’s House is and feels like a home and comfortably sleeps 4 adults and 2 children. Tastefully decorated with an eclectic selection of antique and sympathetic modern furniture, you'll quickly ease into the comfortable surroundings of the House. Both of the Queen-sized bedrooms have generous bathrooms. The third bedroom features a comfortable daybed with trundle. 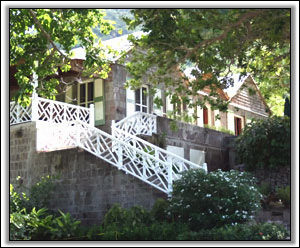 Butler's Cottage, a Nevisian-style home, bridges the gap between the 17th century property and modern day by reflecting the elegant simplicity and homeliness of the historic Butler's House. Sitting contentedly on the Upper Terrace, the Cottage is close enough to the House for ease, yet far enough away for privacy. It is rented out in conjunction with the House and has room for 2 adults and 2 children. 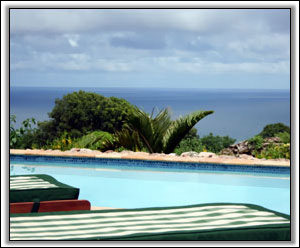 Guests have exclusive use of the house, pool & gardens regardless of how many bedrooms are rented. 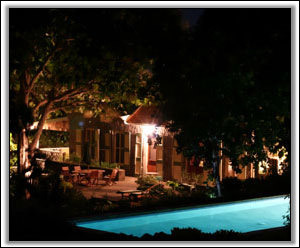 Butler’s will have a generator (as of June 2011) and includes housekeeping, pool cleaning and a gardener. A cook can be arranged with advance notice. Wireless, cable TV installed. 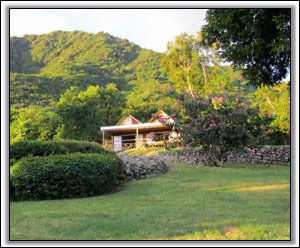 Upon arrival to Nevis, a taxi will bring you to Butler’s House where our local agent will greet you and answer any questions. Our agent will book the taxi and can also arrange your rental car. Your first dinner can be arranged and food supplies provided.